A fifth-generation native of Western Colorado, Kristen Lummis has been skiing almost as long as she’s been walking. 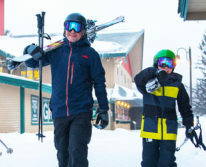 She grew up skiing at Powderhorn, Aspen/Snowmass and Telluride and still loves to make turns with her family at those resorts and many others. Kristen claims she’s never had a bad ski day and makes it a point to discover the hidden charms of every mountain she explores. 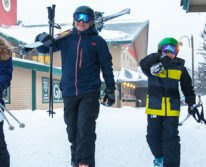 The ski mom behind BraveSkiMom.com, a popular resource for skiing and outdoor families, Kristen can also be found at other publications including Women’s Adventure Magazine, Colorado Ski Country’s Club Colorado blog and MTN Town Magazine. She is a member of the North American Snowsports Journalists Association. You can follow Kristen on Twitter @BraveSkiMom and on Facebook at braveskimom.